Projek yang bagus untuk disertai oleh guru-guru atau pensyarah. 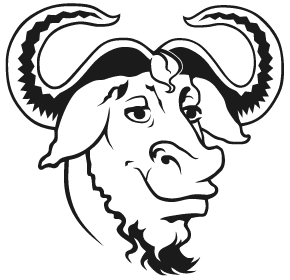 BOSTON, Massachusetts, USA -- Monday, January 30, 2012 -- The GNU Project today announced the relaunch of its worldwide volunteer-led effort to bring free software to educational institutions of all levels. The new effort is based at http://www.gnu.org/education. Present cases of educational institutions around the world who are successfully using and teaching free software. Show examples of how free programs are being used by educational institutions to improve the learning and teaching processes. Publish articles on the various aspects involved in the use of free software by educational institutions. Maintain a dialogue with teachers, students and administrators of educational institutions to listen to their difficulties and provide support. Keep in contact with other groups around the world committed to the promotion of free software in education. Educational institutions of all levels should use and teach free software because it is the only software that allows them to accomplish their essential missions: to disseminate human knowledge and to prepare students to be good members of their community. The source code and the methods of free software are part of human knowledge. On the contrary, proprietary software is secret, restricted knowledge, which is the opposite of the mission of educational institutions. Free software supports education, proprietary software forbids education. In an article at http://fsf.org/blogs/community/gnu-education-website-relaunch, Scilipoti adds insights about the project's organizing philosophy, current contributors, and progress so far. Of her basic motivation for being involved, she says, "As a free software advocate and a teacher, I always felt that the GNU Project needed to address the subject specifically and in depth, for it is in the education field that its ethical principles find the most fertile ground for achieving the goal of building a better society." In her article, Scilipoti also highlights some of the free software success stories from around the world, especially Kerala, India, where the government has migrated over 2,600 of its public schools to free software. While the Education Team has already compiled a collection of useful materials, they are also looking for more volunteer contributors. People who want to help, or who have information about instructive examples of existing use of free software in schools, should contact [hidden email]. "Education really is one of the most fundamental areas we need to focus on to achieve real social change," said Free Software Foundation executive director John Sullivan. "We need to be acknowledging and assisting schools that are doing the right thing, and helping those who aren't yet on board understand why those giveaway Microsoft Office, iPad, and Kindle deals aren't so great for classrooms after all. We're very thankful to all of the Team members for stepping up to meet this challenge. I hope others will be inspired by their work and join the effort." The Education Team has also been working closely with GNU's Translation Team to make the new materials available in as many languages as possible. People interested in helping with the translation component of the project should see the information at http://www.gnu.org/server/standards/README.translations.html. Richard Stallman announced in September 1983 the plan to develop a free software Unix-like operating system called GNU. GNU is the only operating system developed specifically for the sake of users' freedom. See http://www.gnu.org/gnu/the-gnu-project.html. In 1992, the essential components of GNU were complete, except for one, the kernel. When in 1992 the kernel Linux was re-released under the GNU GPL, making it free software, the combination of GNU and Linux formed a complete free operating system, which made it possible for the first time to run a PC without non-free software. This combination is the GNU/Linux system. For more explanation, see http://www.gnu.org/gnu/gnu-linux-faq.html. You can unsubscribe to this mailing-list by visiting the link http://crm.fsf.org/civicrm/mailing/unsubscribe?reset=1&jid=125656&qid=1285560&h=102fc682150b752a.